You are here: Home / Is It Paleo? / Is Corn Healthy? As a cereal grain, corn is not considered Paleo. That’s just the truth of the matter. But here at Ultimate Paleo Guide – we believe that it’s incredibly important to be knowledgeable on all types of foods. And we get questions about corn all of the time. Rightly so – it’s a staple food in America. If you follow Paleo (and you probably do somewhat since you’re reading this site…), corn is off the table. But that doesn’t mean you shouldn’t be informed on what corn actually is – and if it’s “healthy” or not. That’s the goal of this article. If you want to read all about why grains, like corn, aren’t considered Paleo – check out our article all about that. But what about other corn products? Corn is the edible grain of the zea mays plant, which is a type of cereal. These plants belong to Poaceae, commonly known as the grass family. This cereal is also known as maize or Indian corn. In appearance, zea mays is a tall plant with narrow, large leaves. As with most plants, zea mays bears both male and female flowers. The male flowers, known as staminate, are essentially decorative. Pistillate – the female flowers – are what mature to become ears of corn. Each corn ear grows enclosed in leaves that are known as husks or shucks. 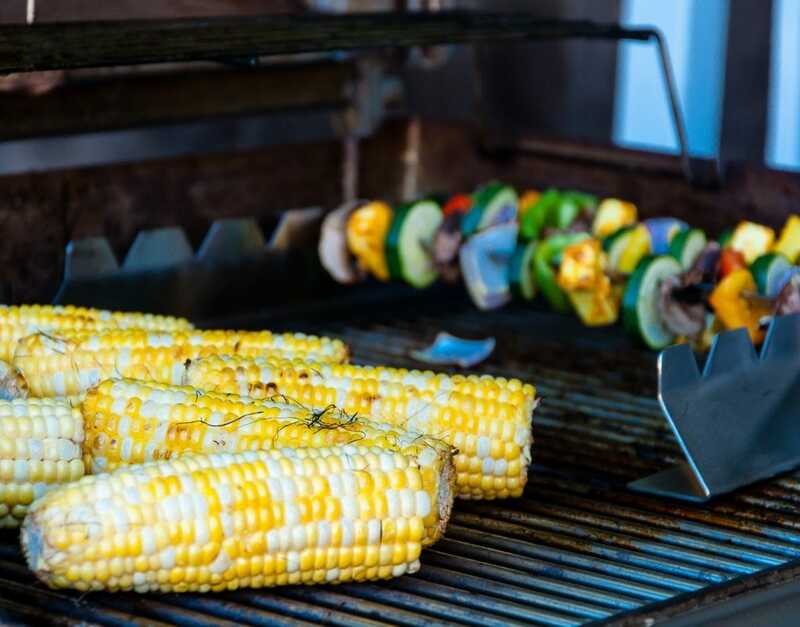 Corn comes in a variety of different colors: black, pink, white, red, yellow or blue. White and yellow ears are the most common edible forms. This cereal plant is also classed commercially according to texture. Classifications include: dent corn, popcorn, flint corn sweet corn, and flour corn. Each corn has different characteristics. For example, popcorn consists of hard, tiny kernels that expand and explode (or pop) when heated. Contrastingly, flour corn kernels are very soft and mealy. This consistency makes it easy to grind up into powder. The biofuel industry has also found a potential usage for corn. Biofuels are environmentally friendly fuel sources that serve as alternatives to fossil fuels. This versatile cereal is also used as a component in a multitude of food products. Industrial alcohol as well as certain sweeteners, oils and beverages all contain corn in some form. Regardless of what it ends up as, corn must go through a process from the field to the final product. Corn can be subjected to either dry or wet milling. A mill is the machinery that is used to process corn. Dry milling corn yields corn flour, flakes, grits, and meal. This type of milling also produces brewer’s grits, which are used in the production of beer. Wet milling processes corn into oil, ethanol, industrial and beverage alcohol. High-fructose corn syrup (HFCS), dextrose, glucose and starch are all the results of wet milling. The zea mays plant was originally cultivated approximately 10,000 years ago in Mexico. Native societies domesticated it for its tasty, edible grains. The Native Americans also grew corn. When European colonists arrived to the American continent, the Native Americans taught them how to grow and harvest it. From there onwards, corn was brought back to Europe by various European explorers. It then spread across the globe, cultivated in any country with a hospitable climate. Today, there is a crop of corn maturing in at least one area of the world every single month. So without further ado, let’s dive into the question we get all the time – is corn healthy? It’s worth noting that corn is versatile. As we have illustrated, corn-based ingredients are found in countless foods, beverages, oils, etc. The composition of corn can differ dramatically depending on how it is processed. High fructose corn syrup (HFCS) will not have the same nutritional value as popcorn. Similarly, refined corn oil cannot be compared to an entire ear of corn. So what – if any – nutrients are found in corn? One cup of yellow corn (166 grams) is worth 606 calories. Of those calories, 497 are from carbohydrates. The remaining calories are made up of fat (65.8) and protein (42.7). This single serving will provide you with 48 percent of your daily value of fiber. A little over half of your required daily intake of vitamin B6 and magnesium is contained in that serving. Vitamin B6 plays a role in many processes within your body. It helps to promote a healthy immune system and helps your body metabolize protein, amino acids and more. It is clear that natural corn in whole form has nutrients to offer the body. But corn is also high in carbohydrates. This means if you are following a diet is carbohydrate-restrictive, such as the ketogenic diet, you should avoid it. 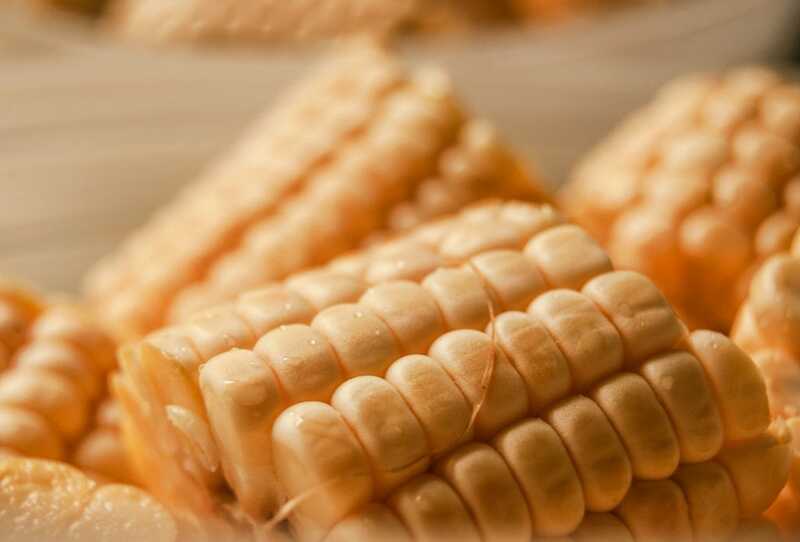 The vast majority of substances that are made from corn have few health advantages. This is because they are usually heavily processed or refined. Most of these ingredients are primarily found in foods or drinks that are manufactured. This means these items tend to contain many additives and artificial ingredients. Corn-based sweeteners include dextrose, maltose, high fructose corn syrup (HFCS) and many more. Sodas, candy and other sweet treats typically contain one or more of these sweeteners. The majority of these foods and drinks are low in nutrients and high in calories. Cornstarch is another popular product made from corn. It can be found in medications such as aspirin and cough drops. Many people use cornstarch as a thickening agent for sauces, soups, and batters. This starch is usually found in frozen foods as it promotes stable thawing. However, cornstarch has relatively little nutritional value. It contains no vitamins and few minerals in trace quantities. Corn oil is beneficial for reducing cholesterol levels. It also contains significant amounts of vitamin E, which promotes healthy skin, hair and nails. This oil is also low in saturated fat. It is primarily used as cooking oil, as it has a high smoke point (450 degrees Fahrenheit). Flour made from corn is ideal for individuals with a gluten allergy. Corn flour also contains health-boosting nutrients and antioxidants. A lot of corn that is on the market today is genetically modified. This means that the plant’s genetic make-up has been altered to have desirable traits. The genetic modifications to corn include making it more resistant to certain pests and diseases that affect the plants. Corn-based derivatives and compounds are best avoided. This is primarily because they are found in consumables that lack any nutritional or health benefits. It is clear that not all forms of corn are created equally. Selection is everything when it comes to corn. 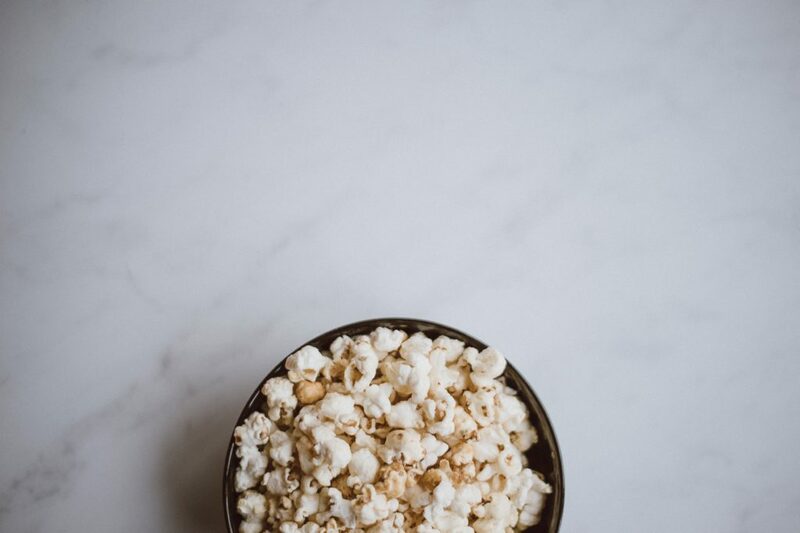 Take popcorn as an example – you can buy plain popcorn kernels for a simple and delicious snack. Alternatively, you can buy heavily processed popcorn kernels. These can contain added salts, sugars and other ingredients you definitely want to avoid. As with most natural foods, keep this motto in mind: the fresher the better! Head down to your local grocery store or farmer’s market to see what is on offer. Check with the vendor when the corn was harvested. Remember that as soon as an ear of corn is picked, it begins to convert any sugars it contains to starch. The longer corn sits on the shelf, the tougher it gets. This is yet another reason you might want to know when it was picked. Don’t hesitate to handle the ears of corn you are considering. The ear should feel firm and plump. Make sure the ear has a good amount of corn silk at the top. As a rule, the more silk an ear of corn has the more kernels it will contain. The corn silk should feel a little sticky and be pale gold in color. 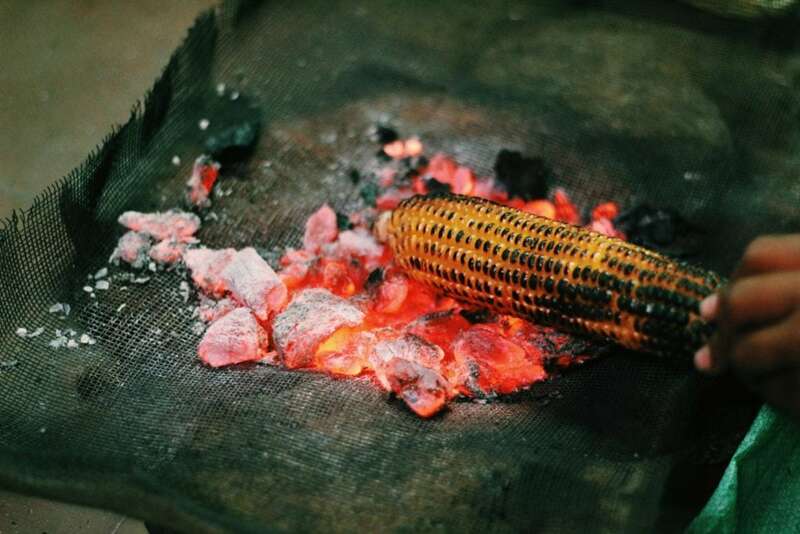 This can be a bit of a nuisance when you are preparing the corn, but it signifies good value! The corn husk should be green, not brown or discolored. Darkened husks indicate the corn is not especially fresh. Corn isn’t Paleo. Because of its high carbohydrate content, corn isn’t keto-friendly either. But corn is a whole food – and in its natural, unprocessed state, it does offer vitamins and minerals that are essential to the body. If corn is included in someone’s diet (someone who is not following Paleo or keto), it should be in its most natural state. Locally purchased and organic is important. It’s worth pointing out that corn is also frequently genetically modified. Genetically modified corn has been linked to a range of problems including allergies, hormonal disruption, and autoimmune responses. Avoid this. Just because a food isn’t “Paleo” doesn’t mean that we should inherently hate it. I’m quite over demonizing any type of real food – and I want to share information with you that helps you be more knowledgeable about food in general. If you have questions about this article or anything else, just leave a reply and we’ll answer it!